The 1992 film White Men Can't Jump was a celebration of the trash-talking, flashy hustlers of Venice Beach that balled their way into making a living on the blacktop. Woody Harrelson, Wesley Snipes, and players of all shapes and sizes were all just trynna make a buck, but everyone who showed up at the court also made sure they looked as fly as possible. The people who created this film may not have realized it at the time, but they created a perfect time capsule of early '90s style. 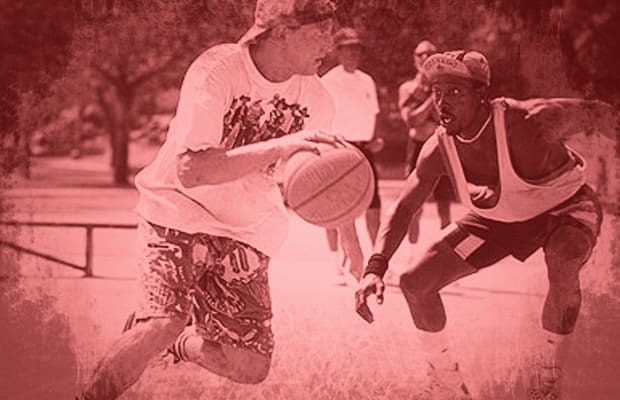 White Men Can't Jump not only provides a great look into the street ball culture of the West Coast, but also had every single character and even the random bystanders and extras rock dope gear that are emblematic of their time and place. From Sidney's cycling caps to Billy's wild prints and everything in between, these are The Best Outfits From White Men Can't Jump.